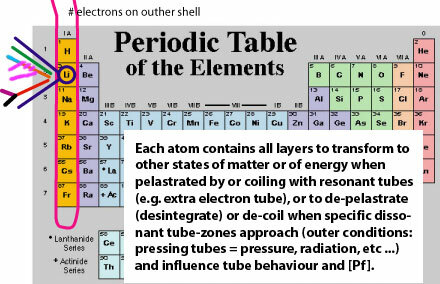 Example: the Li atom. In the design below you see how the Li atom is the result of joints between proton micro-tubes (and underlying micro-tubes), neutron-tubes, electron, etc. 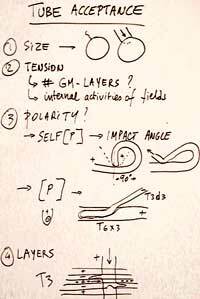 As explained in another part of this website the angle to make a pelastration possible can be determinant. For this reason we see in nature that bindings are only possible in specific angles. This applies to particles, electrons, and all chemical reactions. An impacting tube may also pass through a tube which contains several inserted tubes, fixing them all to a specific position.